← Forecasting a busy few weeks…. Very Britt Ekland. Very envious. I appear to have Ekland hair-envy again. 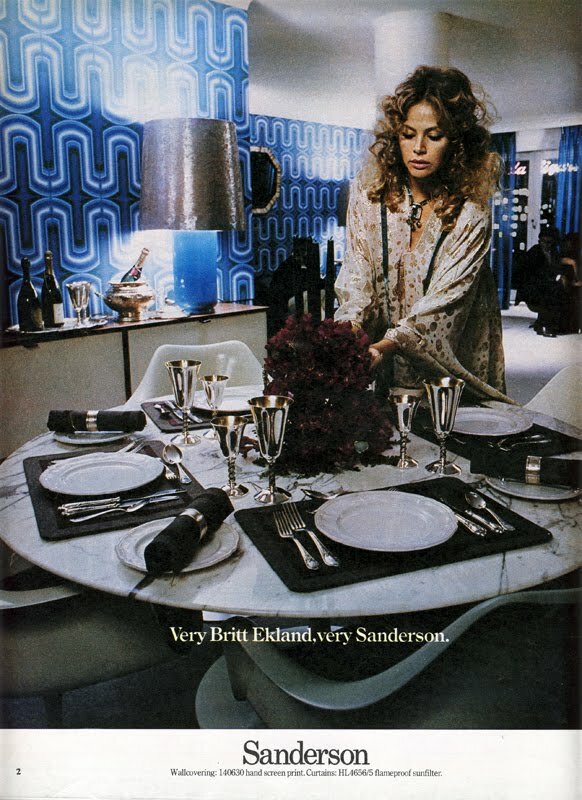 Only this time, it’s coupled with Ekland interior decor-envy as well. Damn her. God I love that wallpaper.It's like the sea, but better.